Realising that safety is a key concern when it comes to travel, Michael Becker created a resource to rank global destinations at a neighbourhood level. “Safety is central to travel. We want people to be more confident and inspired about travelling to any part of the world, and we want to encourage travel in an informed, engaged and empowered way,” said Becker, CEO of GeoSure. 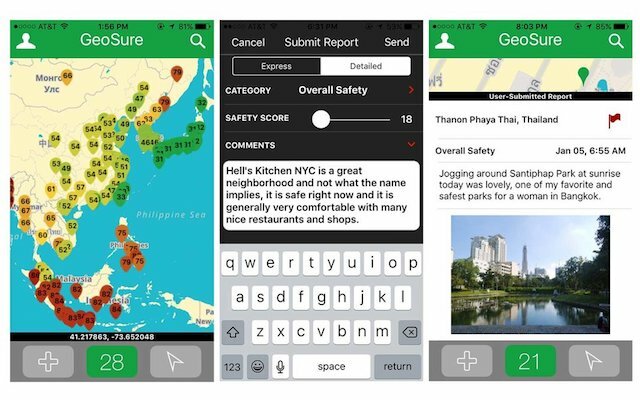 In 2013, the US-based technology company launched its GeoSure app, a personalised safety travel resource aimed at female travellers. In September, after three years of development, an LGBTQ+ safety rating for more than 30,000 neighbourhoods across the globe was added. The app uses AI and crowd-sourced data from a range of organisations, including United Nations, World Health Organisation and crime statistics, to score individual neighbourhoods. Each area is ranked on a scale of one to 100, with one being the safest. Scores are updated to reflect current situations, such as political events, natural disasters and strengthening economies. “Our ultimate goal is to enhance, enrich and empower the travel experience. We felt there was a huge gap in the market,” said Becker. He notes the 2014 Ebola outbreak in West Africa, which led to a swathe of travel cancellations in East and South Africa. Operating on a B2C and B2B level, GeoSure is working with OTAs, TMCs, DMOs, tourism boards and other organisations to offer customers, employees and members hyper-local safety information. Looking ahead, GeoSure is developing more safety features for additional travel segments. “The message of inspired and empowered travel, not fear or anxiety – nobody wants to create trepidation among travellers or customers – is rapidly trending as the best way to encourage smart, informed travel,” concluded Becker.